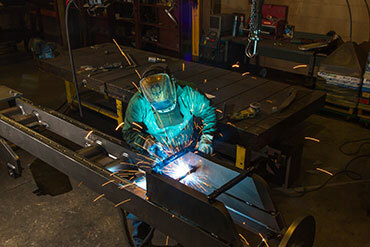 D&S Manufacturing’s workplace is guided by a culture that supports personal and professional development. We value and reward innovation, determination and teamwork. 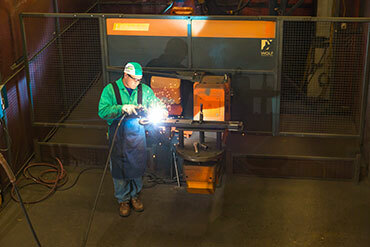 We offer great career opportunities in technical areas such as welding, machining, and engineering. We also provide challenging opportunities in the areas of production supervision, customer service, and administration. Click here to see current openings and apply online! D&S is offering a $1,000 hiring bonus for new employees, as well as a $1,000 referral bonus to current employees. To help cover the expense of moving, D&S offers relocation assistance on a case by case basis. Employees can select from two levels of medical insurance coverage with an HMO plan or a POS plan. We are proud to offer these at competitive premium rates. D&S also offers a comprehensive dental plan. D&S employees are dedicated and hard working and to help them manage the demands of their personal and work lives, we offer programs to help them achieve a balance between the two. D&S provides a fundamental level of financial protection for our employees in the case of an unforeseen event. D&S pays the full cost of short-term disability, life and AD&D insurances. Employees have the option of purchasing additional insurance coverages. 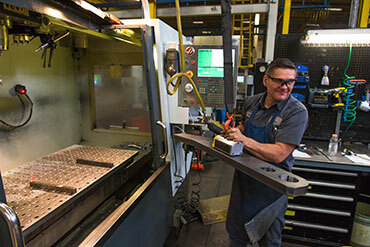 D&S employees share in the growth and success of the company through the Employee Stock Ownership Plan (ESOP). In addition, the 401(k) Plan provides an easy and tax-advantaged way to save for retirement.